Were you one of the many people whose new year's resolution was to lose weight? According to Statista, at least 45% of Americans had this same goal for 2018. It came in at number two on the list of the most common resolutions. This is a big goal and one you must work hard at to make sure you follow through. Getting a gym membership or regularly going to the gym is a good place to start! Why Should You Go to a Gym Over Working Out at Home? As Ekata Training Center, a fitness gym in Santa Clarita, points out, exercise alone will not make you lose a significant among of weight. You also need to get your diet in line and have a healthier lifestyle. A great start for your weight loss journey is a fitness gym. True enough, you can do basic exercises at home like push-ups, sit-ups, crunches, and so much more, but will you? When you are in your own home, you are in your comfort zone. You may push yourself the first week or so, or maybe even longer, but it’s not for everyone. It’s easy to get distracted by laundry, dishes, or kids when working out in your home. In order to keep a schedule, stay on track, and reach your goal easier, you may need a different environment. Going to the gym will make you want to achieve your goal even more because you see other people working hard at it and staying motivated. You’ll reach your goal quicker by having a stricter and more stable workout schedule, pushing yourself harder, having support and all the machinery you need at your fingertips (instead of creating work out areas in your house). Google it: According to Business Insider, every month there are millions of Google searches pertaining to weight loss, so you see why this is number one on the list. This is the easiest, fastest, and probably the most effective way to find a fitness gym in your area. Looking them up on Google gives you an advantage because most times you can read reviews on places, so you can decide for yourself if it sounds like somewhere you want to spend a lot of your time. Ask around: So you Google it and find a few choices and want to know which one you should go with. You can always ask friends or co-workers about fitness gyms in the area. If they don’t know anything about them, maybe some of their friends or family do. Word of mouth is an awesome way to find things out when you don’t know where to start. People are normally glad to help, and it gets a lot of the work done for you. Find a gym that specializes in weight loss: Some gyms and fitness centers focus on helping their customers lose weight, rather than achieving athletic goals. But it doesn’t necessarily need to specialize in it if you know that people do go there to lose weight and not just get muscles. Think about you: What type of environment do you want to be in? Do you want to be around a lot of people, or in a less crowded place? Do you want to have a trainer to keep you in line, or would you rather do your own thing? 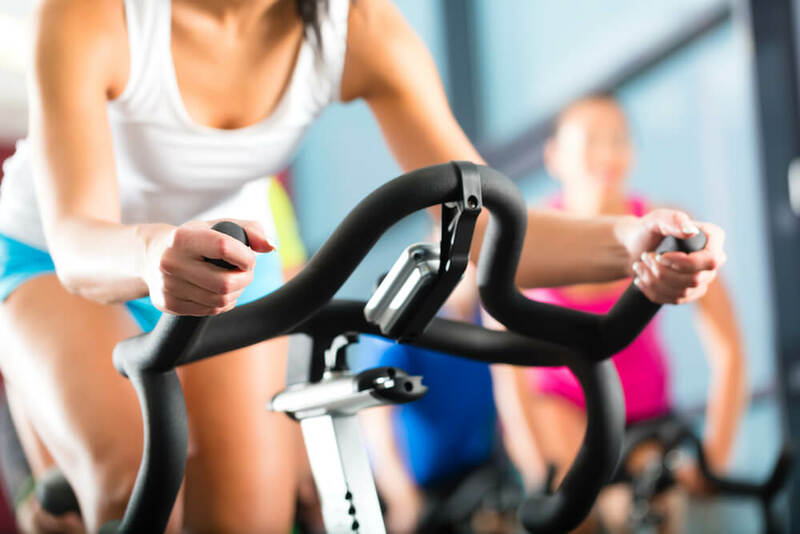 These are ALL important factors to consider because you don’t want to pay for a membership and figure out on down the line that that gym isn’t right for you. Go check them out: You can go and visit a few gyms, talk to the receptionist about their memberships and guidelines and get a brochure. This is also a perfect opportunity to get a feel for the environment and see if the staff are friendly and helpful because that’s important as well. Ask questions: Always ask questions! If you don’t ask questions, you will probably end up regretting it later. Have a set of questions ready to ask them so you don’t leave anything important out. Some things you might want to ask are: What does your gym specify in? Do you have any specials going on now? Do you have a specific membership for weight loss? Do you have a health plan along with your memberships? How long does the membership last? On an average day, how busy is it? Are there trainers, or do you work alone? What are your hours of operation? And ask about pricing. Keep in mind these are just examples of some things you may want to ask. Just choose the ones you feel are important for you. There are a lot of things to consider when deciding on the right gym for your weight loss journey. It is important that you feel comfortable enough to go there regularly, are around people who are friendly, and it is somewhere you will get the help you need to begin and to see you through to the end. It’s not easy taking this huge step, but if you carefully consider your choice of gyms, you will have a better chance of success. If not, you could end up buying a membership somewhere that just isn’t for you because you didn’t do your homework. All it takes is a little bit of patience and research and you will find the best gym for you! How Long Does It Take to Learn Brazilian Jiu Jitsu? Perhaps you are a huge movie fan of martial arts movies. You know all the great names like Bruce Lee, Jackie Chan, and Jet Li. You can remember all the great choreography and storylines. Have you been recently had a baby, and feel a separation between your ab muscles? Or maybe your doctor has diagnosed you with diastasis recti?